We start today’s show with a chat about Whole Foods recent “Earthling’s” campaign and the myth of “humane meat”. We speak with Rachel Bjork of the Seattle-based Northwest Animal Rights Network (NARN) about their current campaigns. 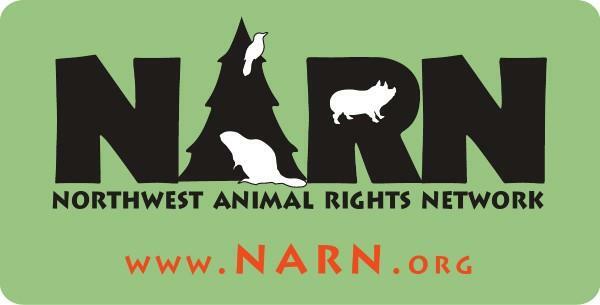 NARN has been dedicated to ending the exploitation of animals by raising awareness of animal suffering in the food, entertainment, experimentation, and fashion industries since 1986. NARN’s current campaigns include their exciting Vegan Mentor Program, UW Watch Project which addresses the issues of animal research at the University of Washington, along with their efforts to advocate for the release of the Woodland Park Zoo elephants to The Elephant Sanctuary. We share an interview with chef Merida Anderson about her book Vegan Secret Supper in preparation of her Vancouver Book Launch. This book includes 150 sumptuous recipes, as well as plating and pantry tips, flavor-pairing suggestions and a focus on simple, seasonal ingredients. Merida has hosted her pop-up dining club in Vancouver, Montreal and New York.